In essence, soul-based coaching or counselling empowers you to discover your own healing, insights and direction. It seeks to bring you into satisfying relationship with your everyday life and your true inner self, the soul. It does this through expanding consciousness beyond ego, so we may interpret our experiences in light of a more expanded consciousness that is sensitive to, and part of, the larger world. 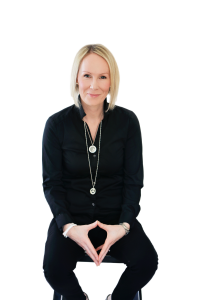 In soul-based coaching, Mary-Anne will assist you to enter into the suffering, the questioning, and your own soul to guide you into becoming conscious of the unconscious parts of yourself that seek expression. This supports you to give your experiences meaning and purpose. Most modern philosophies and techniques are good at taking things apart – analyzing and de-constructing the person and experiences. What is left is often a state of fragmentation. Yet parts of things only make sense in light of the whole of which they are a part. Analysis is only as good as the synthesis that follows. As a professional, Mary-Anne will assist you in determining which universal perspectives and principles apply to your situations and will attempt to lead you from your point of experience to a more universal perspective, thereby giving you the opportunity to see the meaning and purpose of your experiences, and to integrate the learning into your life, today. Soul-based counselling is based in a philosophy of wholeness, because it deals with universal laws, principles and deeper reality, and it makes sense of all experiences. Philosophy is the pursuit of wisdom – not simply the pursuit of information or awareness. There is nothing dogmatic about the soul journey. It is both a collective and personal journey where we learn to think more universally. The soul journey is not about changing behaviour – there is no forcing involved. Instead, this broader way of thinking leads us to be more compassionate and have more understanding, and this naturally results in changes of behaviour. *Soul-based counselling is not psychotherapy nor any other form of traditional professional therapy. Feel like this type of experience is for you? Request your appointment with Mary-Anne below. In this package, you will have your first private, live email chat with Mary-Anne for approximately 1 hour. Following this first email session, you will have one email session with Mary-Anne each week for three more weeks. The 4 weeks will be consecutive unless otherwise arranged. Your program will begin within approximately 2 weeks of enrolment. Individual sessions (email or in-person) are subject to Mary-Anne’s availability based on her regular calendar, and there may be a waiting list. Email sessions are likely to be accommodated earlier than in-person sessions. These sessions are not readings, and NO spiritual/intuitive or mediumship-based guidance will be given.